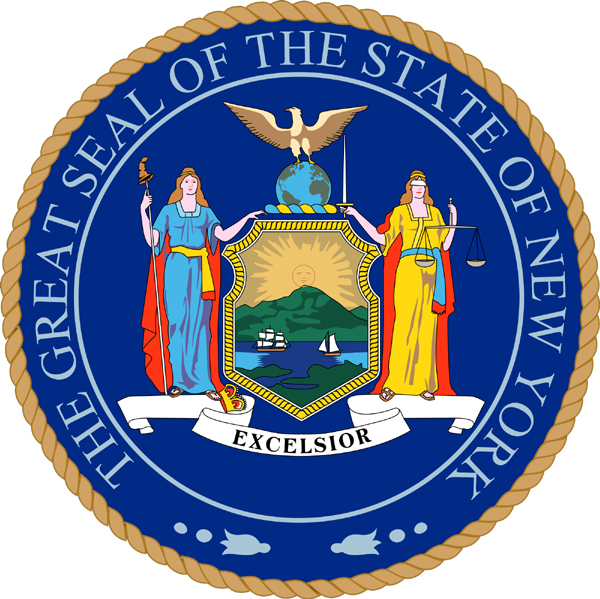 The Great seal of New York features the state's coat of arms and state motto. Public domain image on Wikipedia. The center shield displays a masted ship and a sloop on the Hudson River river (symbols of inland and foreign commerce), bordered by a grassy shore and a mountain range in the background with the sun rising behind it. 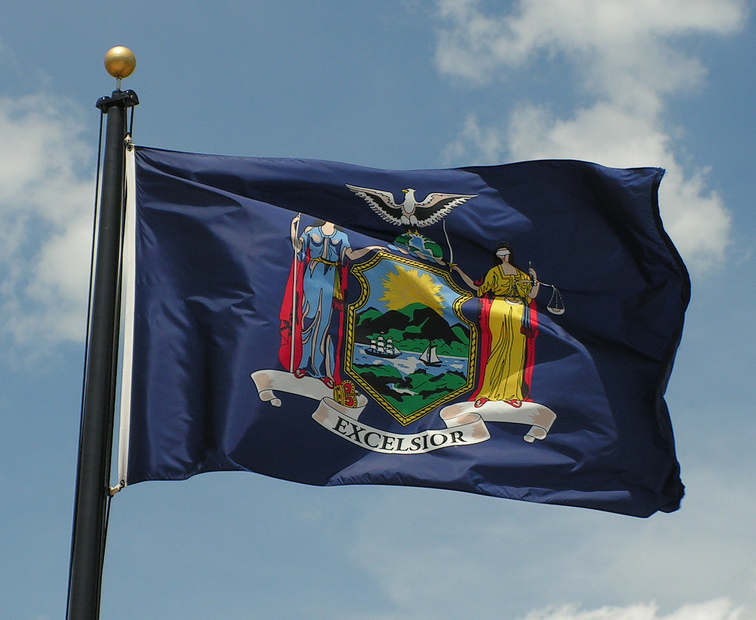 A banner below the shield shows the New York state motto: "Excelsior" (Latin for "ever upward"). Liberty and Justice support the shield and an American eagle spreads its wings above on a world globe. Liberty's left foot treads on a crown (a symbol of freedom from the Kingdom of Great Britain). Justice is blindfolded and holds a sword in one hand and a scale in the other, symbolizing impartiality and fairness. New York state flag; featuring the state's coat of arms on a field of deep blue. Photo by JeromeG111/Flickr (noncommercial use permitted with attribution/no derivative works).